In the morning, let’s head to Maeda Point where is the most popular destination for scuba divers and snorkelers in Okinawa Main Island. The breathtaking underwater world spreads out beyond the stairs that take you down the cliff to entry point. Approximately 6 minutes by car from there, you will discover Okinawa that you did not know while enjoying Okinawan cuisine at the Ryukyu Mura. 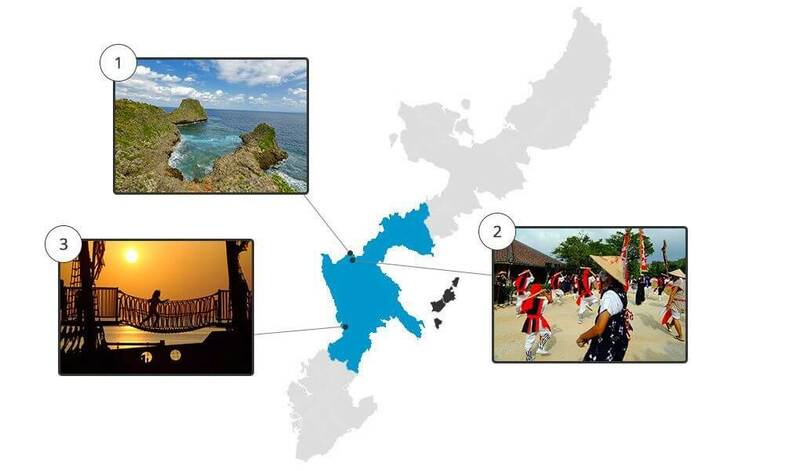 You can also experience Okinawan culture, entertainment and nature. Starting to get dark, it is time to head to the beach for the beautiful sunset. 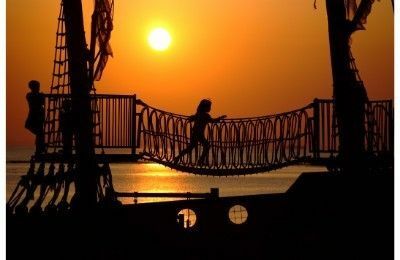 By looking at the sunset without thinking anything, it will help you to refresh your mind. 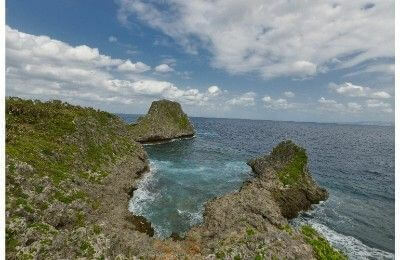 Okinawa’s representative diving and snorkeling spot is Maeda Point in Onna Village. You can overlook the East China Sea, and the water spread out before you have a high degree of transparency. There are reefs around there and a dynamic drop off. Its famous spot “blue cave” with the mysterious blue coloring sight attracts many people. Ryukyu Mura in Yomitan Village is the facility that you can enjoy the whole Okinawan experience. 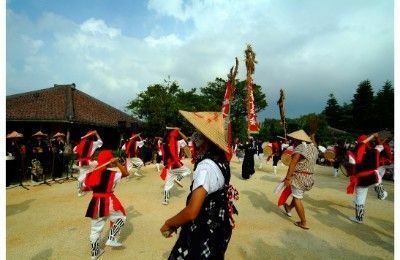 A Sanshin lesson, craft experience including Bingata dyeing, indigo dyeing, weaving, Shisa painting and Okinawan sweets Sata andagi making experience are offered. Some of thehands-on experience programs are enjoyable even on a rainy day. An entertainment parade (Michi junee), eisa performance and fork & entertainment show are attractive as well. A restaurant which serves Okinawa cuisine is also recommended. Araha Beach is located in Araha Park, Hamby Area in Chatan Town. The 610-meter long beach facing the west coast is always crowded with tourists and foreign residents who are living in the neighborhood. The sunset from here is a must-see. On a clear day, the red gradation created by the sinking sun on the distant horizon will show you the ephemeral beauty. Sea off Okinawa appears on Google Street View as Japan’s first!